Before taking his current position, Lou Varni, the assistant VDC manager worked in the field as a concrete project engineer on multiple projects. He and his colleague, Senior BIM Manager Luis Perez, know first-hand what to look for when you need technology to use for improving a contractor’s operations at the office and on site. 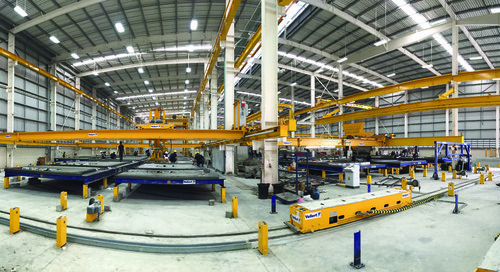 Pankow achieves better cost and schedule control by self-performing. 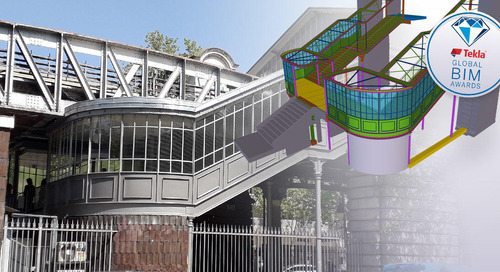 Using Tekla software helps them to deliver meeting company’s core values, and because of utilizing information-rich visual models and software powerful's management tools throughout their projects, they can provide superior value to their clients. Doing the concrete work helps control overall costs and schedule. “If you can control concrete frame, that's really setting the tempo for the whole job. Pankow specializes in design build delivery method and integrated project delivery, which allows us to perform at our best,” Luis Perez says. 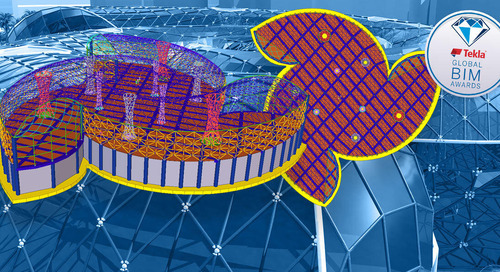 “We try to get reference models from the design team to bring into Tekla, but often times they tend to be inaccurate and full of coordination issues. 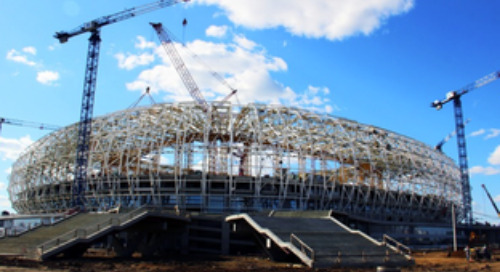 By modeling the concrete ourselves using Tekla, we can catch these issues during the preconstruction phase resulting in fewer RFI’s during construction and a more accurate estimate for the owner,” says Lou Varni. Anyone can create custom fields like these in Tekla Structures - you don't have to be a programmer. You can use existing ones or do what Pankow has done, set up tabs by themselves. Pankow works in a similar way with their cost codes. “We organize our information by our header code and then add subcategories of our point codes. We just select point codes from the Organizer tool in Tekla and it will highlight those in the model and shows you exactly what's associated to that code. And the quantities are pulled out simultaneously,” Varni enthuses. With model-based takeoffs you can easily see that everything is included and thus always be confident that the quantities are accurate and up-to-date. “We deliver this type of quantity information from pre-construction to operations and to the field. They will know exactly where to code their work in the field. And they know what we bid. There is a tighter connection between what's being budgeted and what's being spent, and a lot less estimation and quantity errors,” concludes Varni. 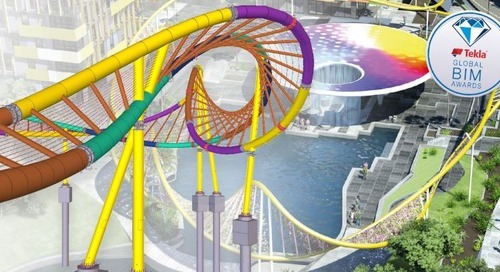 After you win the project with a successful bid it's time to take the model to construction. At Pankow, VDC team is responsible of pre-construction. They hand the project off to project engineers who continue working with the model. Operations team does not need to start from scratch as they are literally receiving the estimation model and continuing to add more information and details into it. “And once we have that coordinated information in the model, we can create layout points directly in Tekla, export those to our robotic total station, and then start laying out in the field, Varni tells. 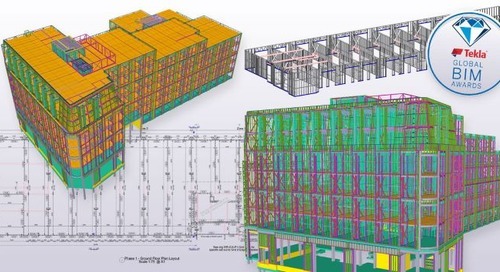 “We very quickly realized that using Tekla provided tons of value for us and implementing Tekla allows us to deliver on our core values,” says Senior BIM Manager Luis Perez. Pankow, as an innovative company, is always looking for better ways to use the information in their models for things such as production, or implementing new features that Tekla is constantly developing. “The fact that we can identify potential issues early on and constructibility reviews have been proven extremely valuable. 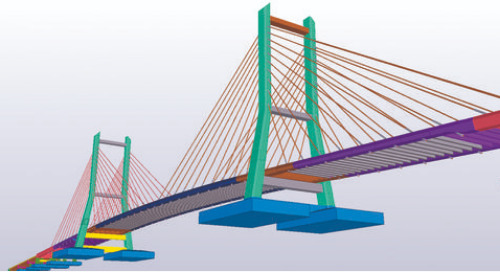 Effecting also on safety, these are one of the key benefits of using Tekla,” says Perez. 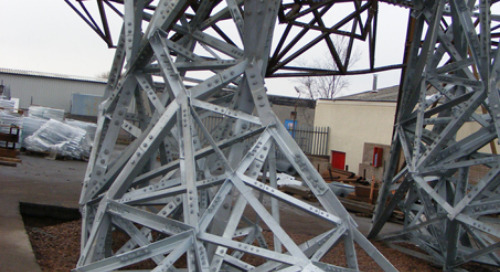 And when it comes to customer service Pankow’s entire technical workflow allows them to deliver superior value, regardless of whether the client is their own project engineer taking over the model in the field, or the owner, or the rebar sub-contractor. “I think it's huge that we can deliver this type of superior of value to our clients,” says Perez. Pankow is a US-based service-oriented General Contractor that self performs concrete. They constantly strives to find innovative construction and management methods that benefit their clients. Pankow has been using Tekla software for several years already.